Clinton Arrow Soccer took over the weekend before Thanksgiving break with the Lady Arrows hosting the Gulfport Lady Admirals before both the girls and the boys teams traveled to Oxford to take on DeSoto Central and Oxford High School. The Lady Arrows (5-0-1) went undefeated on the weekend, winning their matches against Gulfport and DeSoto Central and tying the Oxford Lady Chargers. The Lady Arrows showed grit during an early Friday match against Gulfport (7-1) where the Lady Admirals jumped to an early lead, causing the Lady Arrows to trail after the 22nd minute. Clinton came from behind with three consecutive goals to claim their fourth straight victory, handing Gulfport their first loss of the season. Kaci Craft, Camille Bohannon and Jada Jelks scored for the Lady Arrows. Bailey Riddley, Parker Ainsworth and Acacia Rodriguez had assists on the evening. Saturday started early for the Lady Arrows as they traveled to Oxford to take on DeSoto Central (0-3) and Oxford High School (2-0-1). 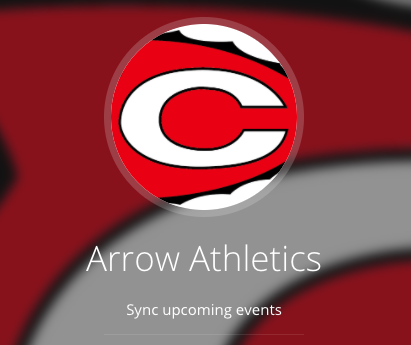 The Lady Arrows easily handled DeSoto Central, defeating the Lady Jags 4-1. Tailynn Remmel, Jada Jelks, Shelby Dean and Kaci Craft picked up goals during the Lady Arrows first match of the day. Jakiya Michael, Kaci Craft and Addison Pletzke had assists. Also on Saturday, the Lady Arrows took on Oxford where the Lady Chargers took advantage of an early PK to go up 1-0. The Lady Arrows answered back but conceded two more goals, trailing 3-2 at the half. Clinton scored the only goal in the second half, avoiding the loss. Cameron Gladney picked up two goal with Kaci Craft scoring the third. Gladney and Parker Ainsworth had assists. The Clinton boys team also traveled to Oxford where they faced DeSoto Central (1-2-2) and Oxford High School (5-1). The Clinton Arrows (3-2-1) took on the Jaguars during their first match of the weekend, tying DeSoto Central at one goal apiece. Corey Lewis scored for the Arrows with an assist from Andres Mazy. The Arrows faced a talented Oxford Chargers team during the last match of the day and failed to find the back of the net. Oxford took the match 5-0 giving the Arrows their second loss of the season. Both Clinton Soccer teams will take the week of Thanksgiving off but will return to the pitch on Tuesday, Nov. 27 at Germantown High School. The Lady Arrows will kick off at 5:30 PM, and the Arrows are scheduled for a 7:15 PM kick off against the Mavericks.